Style yourself right with this art deco ring set from Apples of Gold jewelry retailer. 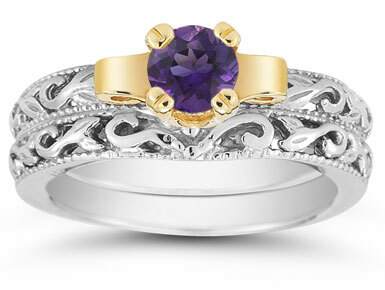 This set packs twice the power punch with two white gold rings that showcase expert detail. Each white gold band showcases a swirling, paisley-like pattern that is offset with dual milgrain edging. Polished to a high shine, the bands alone are beautiful, but Apples of Gold makes this set even more stunning with a 5mm amethyst gemstone set apart in a bright yellow gold setting on one of the bands, creating a bold art deco look. 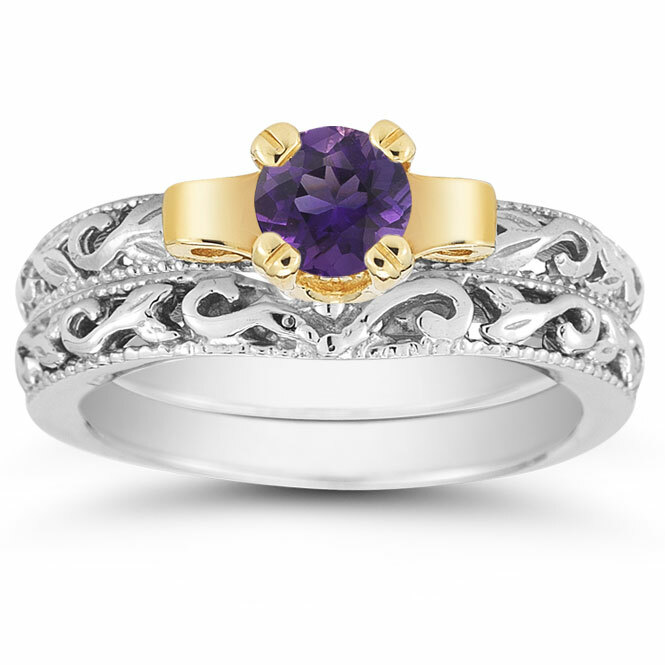 We guarantee our 1/2 Carat Art Deco Amethyst Bridal Ring Set to be high quality, authentic jewelry, as described above.